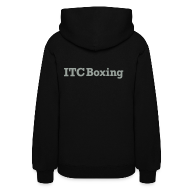 ITC – Boxing Fitness Centre – Page 2 – the fitness of boxing for everyone! iDE The Clean Fight a Success! On September 3, 2013 fifteen women started boxing training at ITC. On November 28, 2013 they will box each other at a gala event. In just 86 days, they will change lives all over the world. Over only 86 intense training days, these incredible women … Continue readingiDE The Clean Fight a Success!